The green is a flash flood warning. 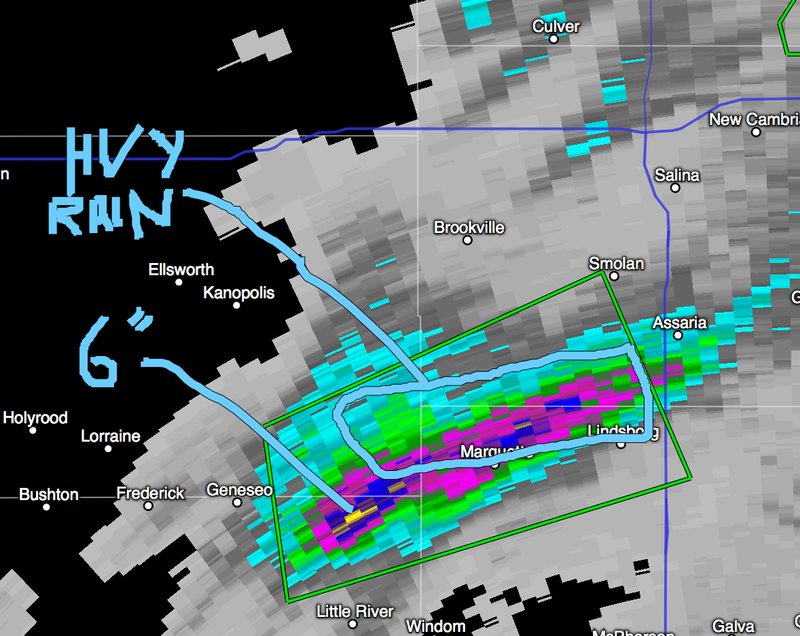 The small yellow area = 6" of rain! 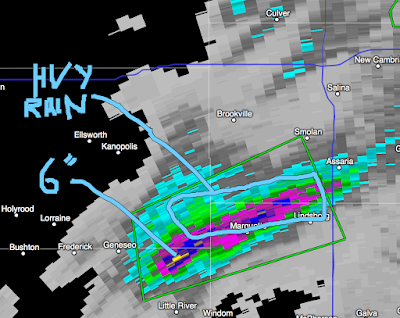 Heavy rain is still falling in the area I have outlined on top of where 3" (purple) that have already fallen. Also note I-135 south of Assiria. There may be some minor flooding in that area.